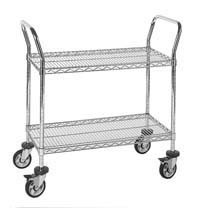 Stock carts are Available with wire & solid shelf combinations or just wire or just with solid shelves. 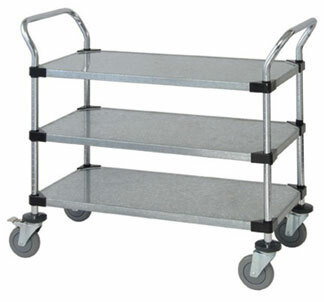 Quantum Wire Carts can be cleaned easily. 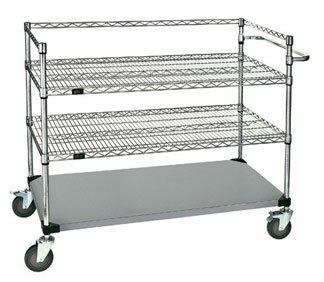 Choose between Stainless Steel Wire Carts or Chrome Wire Carts.